Its Christmastime! What better way to celebrate Christmas than with some yummy foods from Frozen! There wasn’t TONS of new food shown…and most of the food in the movie was desserts. So that’s perfect for your Holiday festivities! We’re going to be off for a couple weeks after this. So enjoy and happy Holidays! Also, remember to check out our patreon! While prepping for the festivities, there is a huge pile of treats. One is a thin cake with a chocolate ganache on top. I looked at some Norwegian recipes and this is a hazelnut cake that looks really similar. It is kinda like a cookie cake, but still awesome. Lightly grease the bottom of one 10 inch springform pan. Reserve 8 whole nuts for garnish. Pulse the remaining nuts in a food processor until ground, and reserve 1 tablespoon of ground nuts for garnish. Melt margarine or butter in a small saucepan over low heat, cool. In a large bowl beat eggs, sugar, and 1 teaspoon vanilla extract until thick and lemon colored (about 2 to 3 minutes). Add flour, baking powder, salt, and ground nuts, mix well. Continue to beat mixture while slowly adding the cooled melted butter or margarine until blended (mixture will be thick). Bake at 350 degrees F.
for 35 to 40 minutes or until a toothpick inserted in center comes out clean. Cool in pan for 15 minutes then remove sides of pan. Remove pan bottom and invert onto a serving plate. Cover with a cloIn a medium saucepan bring whipping cream just to a boil, take off heat and stir in the semi-sweet chocolate chips (or milk chocolate) until melted and smooth. Stir in 1/2 teaspoon vanilla extract. Spread glaze over top of cooled cake, allowing it to run down the sides. A Bundt cake is shown a couple times in the movie. Well turns out there is Norwegian Orange Cake, which is typically made for Easter. Heat the oven to 175C/350F degrees. In a medium bowl, sift together the flour and baking powder. Set aside. In a separate bowl, beat the butter and sugar until light and fluffy. Using a standing or hand mixer, this should take 3 to 5 minutes. One at a a time, making sure they are each incorporated before you add the next, add the eggs to the mixture. Fold the flour mixture into the butter mixture and combine until the cake batter is even and without streaks. 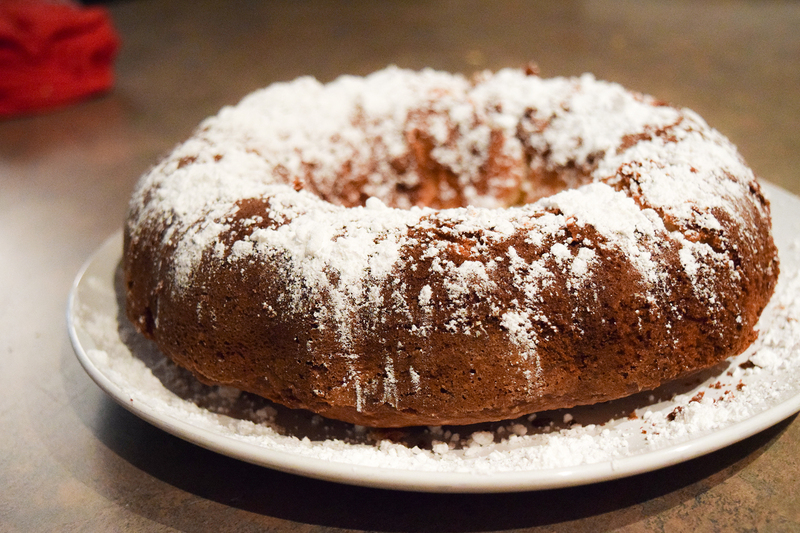 Pour the batter into a greased and floured bundt pan, then bake for 45 to 55 minutes, or until a toothpick inserted in the center comes out clean. 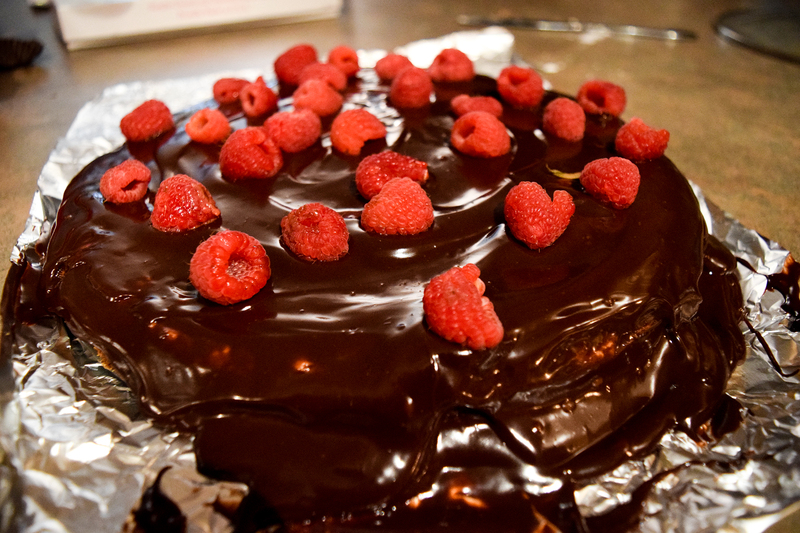 Allow the cake to cool into the pan for 45-60 minutes on a cooling rack, then remove from the mold. Will it Let it Go?